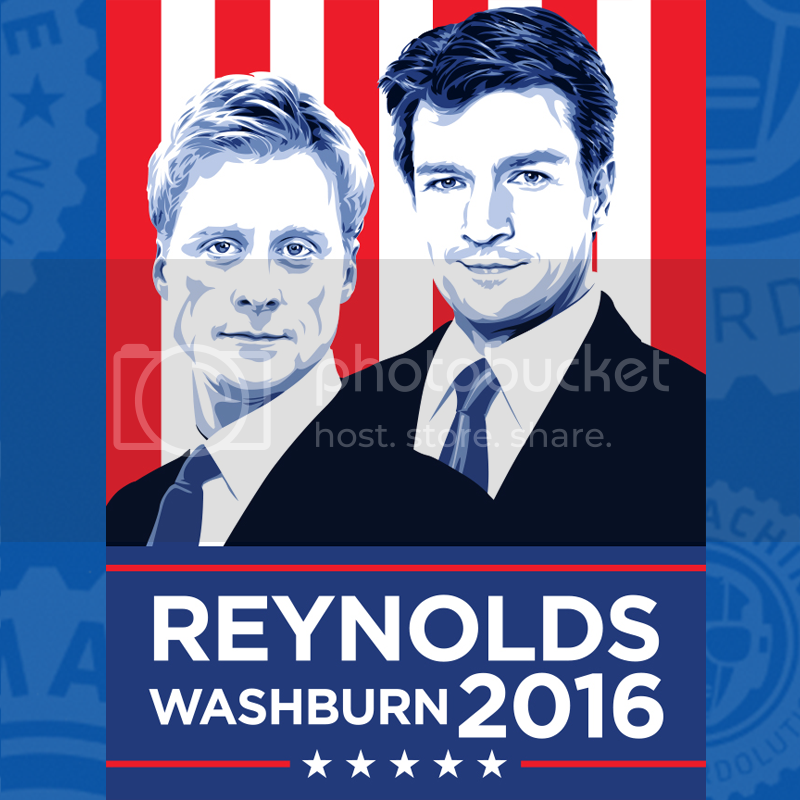 Vote Firefly Poster 18" x 24"
Didn't one of those guys die about 11 years ago? Wash is not dead because it's now 2016 and Wash will be born 5 centuries and 33 light years away. There was a Tipler Time Machine involved somehow to get Wash back to now. If you include the rotation of the Milky Way over 5 centuries and the expansion of the Universe, it's a lot farther than 33 light years to Wash's birthplace. If Wash really did time travel back to now, and saw that some pseudo-humans actually voted for the Hildebeast, being the most corrupt person to ever run for POTUS, he must wonder if this is science fiction to have Hilliary as the nominee. How many people have looked at one of these posters and asked, "Why haven't I heard more about these guys?" That was so cool, Second. My vote is for Summer! Shiny. I need this, but with the other Washburn. Any chance you can design one with Zoe instead? You mean one where one of the candidates isn't all corpsified?